Cook rice following packet directions. Refresh under cold water. Drain well. Cool. Meanwhile, place Perry, 2 cups water, peppercorns, bay leaves, ginger and thyme in a large, deep frying pan over high heat. Bring to the boil. Reduce heat to low. Add salmon. Cover. Simmer gently for 8 to 10 minutes, for medium, or until cooked to your liking. Remove from heat. Using a spatula, carefully lift salmon from liquid and transfer to a plate. Discard poaching liquid. Make Dressing: Whisk vinegar, oil, dill, mustard and sugar together in a jug. 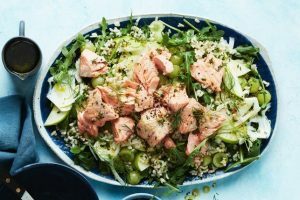 Place apple, rice, fennel, pear and chives in a large bowl. Drizzle with 1/2 the dressing. Season well. Toss to combine. Arrange rice mixture and rocket on a serving plate. Flake salmon, discarding skin, and place on top of rice. Drizzle with remaining dressing. Sprinkle with reserved fennel fronds. Serve. 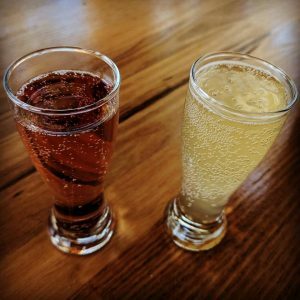 Fill your flute halfway with chilled prosecco. 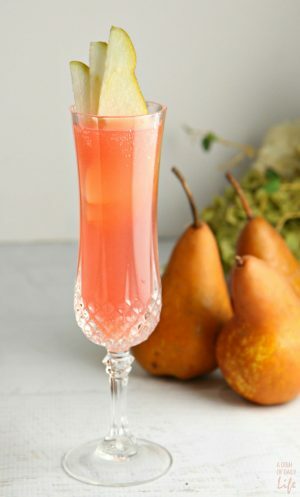 With the remaining half of the flute, fill it 1/3 of the way up with cranberry juice, 1/3 of the way up with pear nectar and then add a splash of prosecco to the top. 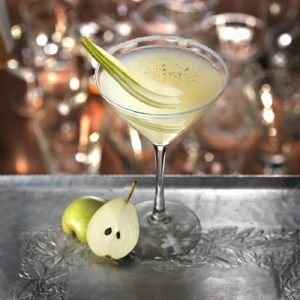 You’ll need a little space to add the pears, so don’t fill your flute up completely with prosecco. Preheat oven to 205 degrees C. With tip of knife, scrape seeds from vanilla bean. Set seeds aside (reserve bean for another use). 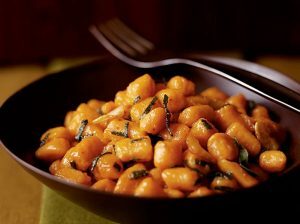 In a large ovenproof skillet, melt butter over medium-high heat until golden brown and fragrant. Stir in vanilla seeds. Add pears, cut-side down, and cook 3 to 5 minutes, or until lightly browned on bottom. Transfer skillet to oven. Bake 10 to 15 minutes, or until pears are just tender. 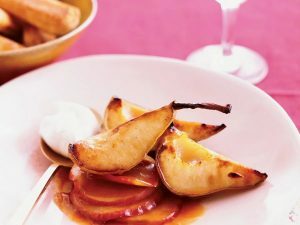 Cool pears in pan to room temperature. Meanwhile, in a medium microwavable bowl, combine chocolate and butter. Microwave on medium (50 percent power) 1 1⁄2 minutes; whisk until smooth. In a saucepan, bring coffee, milk, and corn syrup just to a boil. Whisk coffee mixture into chocolate mixture until smooth. 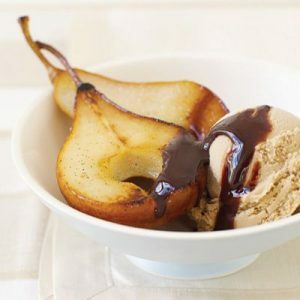 Serve Roasted Pears with Chocolate Sauce and ice cream. Dip the rim of a chilled cocktail glass in sugar and set aside. 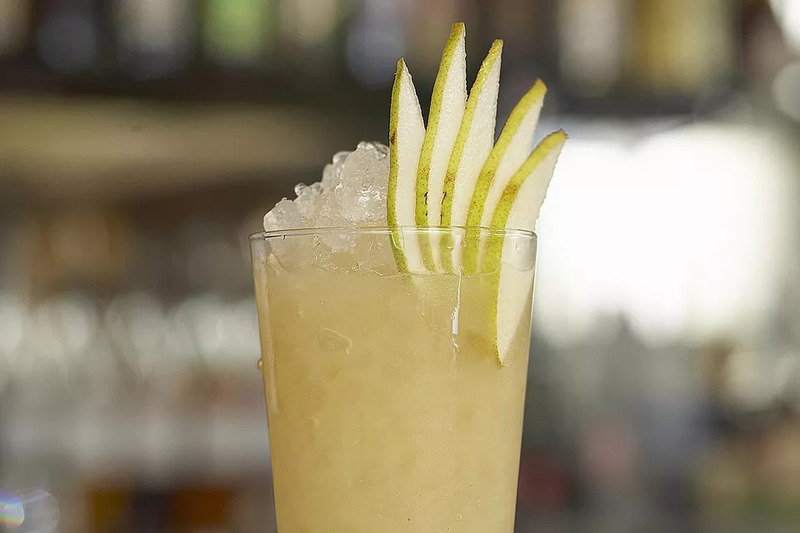 In a shaker, muddle pear slices with lemon juice. Fill with ice, add Eau De Vie, vodka and simple syrup. Shake well and strain into the sugar-rimmed glass. 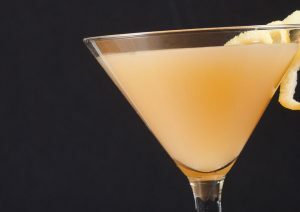 Add a float of mandarin blossom vodka and a sprinkle of freshly ground black pepper. Bring sugar and water to boil in small pot. Remove from heat and add the vanilla bean and seeds. Cover and let sit for 20 minutes. Strain and chill. Preheat the oven to 400°. Quarter and core the pears; dust generously with confectioners’ sugar. In a large, ovenproof nonstick skillet, melt the butter. Add the pears, cut sides down, and cook over high heat until richly browned, 10 minutes. Turn the pears skin sides down. Pour in the Perry. Roast the pears in the oven until the pears are tender and the Perry has reduced to a syrup, about 18 minutes. Transfer the pears to a platter. Meanwhile, add the Eau De Vie de Poire Williams to the skillet and boil for about 3 minutes, scraping up any browned bits from the bottom. Add the cider and bring to a boil. Add the apple slices, cover and simmer over low heat, turning once, until the apple slices are translucent, about 5 minutes. Uncover and simmer until the cider has reduced to a syrup. Spoon the apples into shallow bowls and top them with the pear wedges. 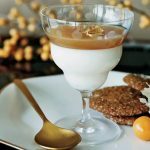 Dust with cinnamon and serve with whipped cream. Strain into an old-fashioned glass rimmed with sugar and filled with crushed ice. Garnish with mint leaves and dried pears.